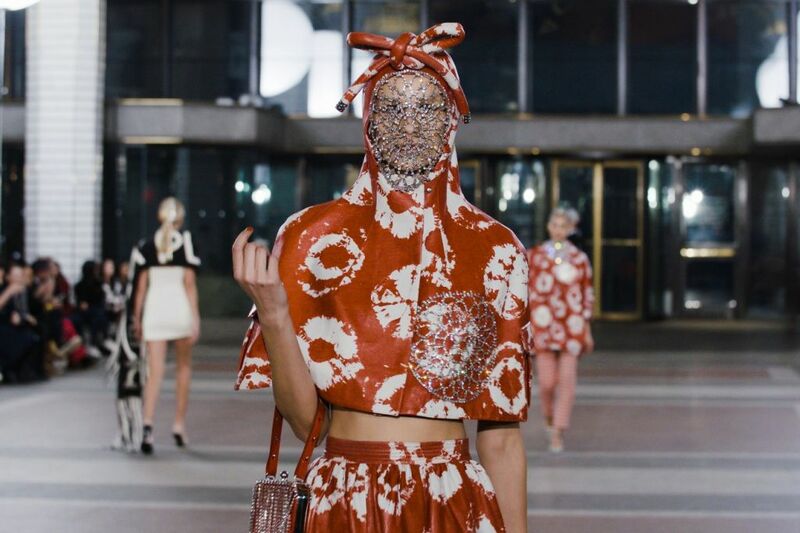 Day three of New York Fashion Week saw local label Area blow all expectations out of the water. Showing on Wall Street on the evening of Saturday 9th February, founders Beckett Fogg and Piotrek Panszczyk unveiled a collection that oozed glistening attitude and an almost punk-like energy. 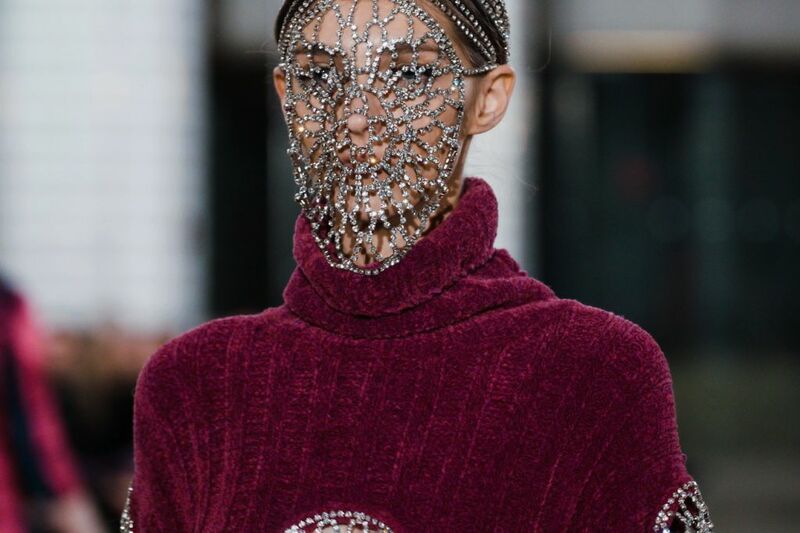 A crystal poncho, crystal facemasks, a zip-up bodysuit with crystal fringe… if one thing’s for sure, it’s that crystals were very much a front-and-center key element to this collection, reflecting Area’s recently kindled partnership with one of the world's oldest and most prestigious crystal producers, Preciosa Components. 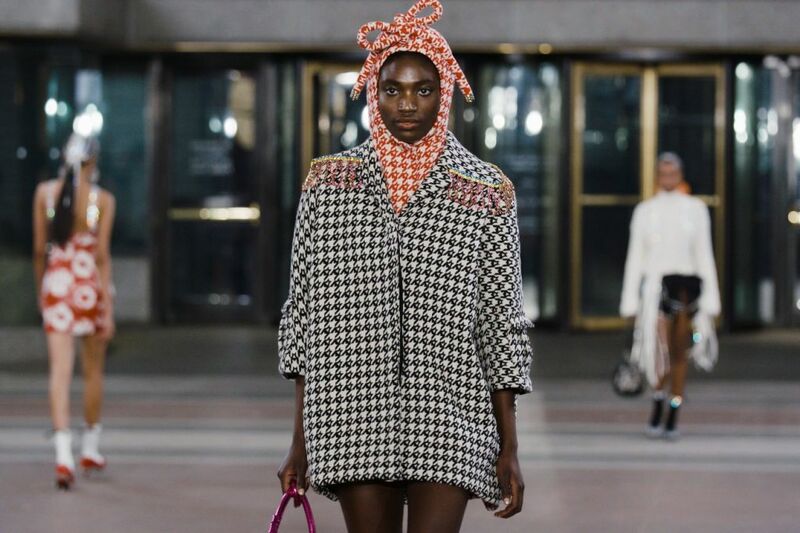 The looks were original, eclectic, unusual, unsettling; undoubtedly the most personal and confident collection the design duo have put together since their inception. And people noticed. 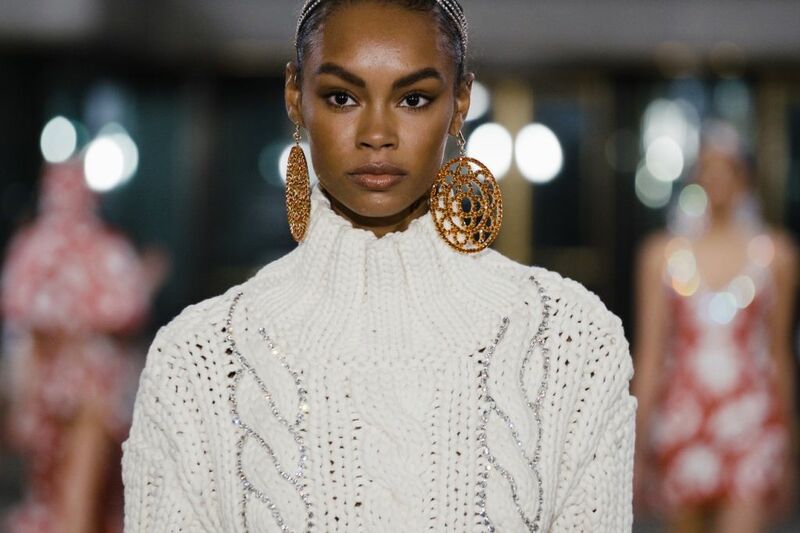 The show has garnered international press and social media attention, most notably from "fashion bible" Vogue Magazine, and the legendary fashion journal WWD, both of whom have published articles, videos and crystal close-ups on their various channels. “Tonight’s Area show was glitzy and fab-you-loussss, but beneath that purple-to-pink fur and those crystals are layers and layers of meaning”, wrote Vogue on Instagram next to a close-up of the mesmerizing crystal face mask. “It’s about these dualities: How can they live not in contrast but in harmony”, said cofounder Beckett Fogg on the collection after the show. “We’re basically a couple of kids who started a brand in New York and we’re at a point now that our team is just killer”. Follow Preciosa Components on Facebook and Instagram for more live updates as NYFW progresses. Coming up: Bibhu Mohapatra, Christian Cowan and The Blonds.